Fusaichi Pegasus likes more Northern Dancer blood in his mares. Gr.1 winner Bandini is from a DIXIELAND BAND mare and the Belmont Stakes runner-up Andromeda’s Hero is from a STORM BIRD mare. DIXIELAND BAND is broodmare sire of Gr.2 winner Distinctive Dixie. 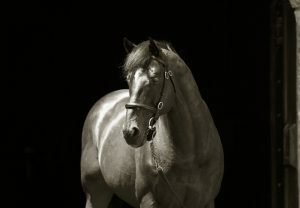 His smart Japanese colt Fusaichi Seven has a dam by Deputy Minister’s sire VICE REGENT and the multiple Graded winner International Star has a dam by Deputy Minister’s son FRENCH DEPUTY. His Gr.1 winner Roman Ruler is from a SILVER DEPUTY mare and his Gr.1 winner Champ Pegasus is out of a daughter of SALT LAKE. His talented sprinter Heitai is another out of a grand-daughter of DEPUTY MINISTER. Fusaichi Pegasus has a solid record with daughters of STORM CAT with Pursuit of Glory, Arashi Cat, Cumin and Obsequious all being placed in Graded company. Gr.1-placed Hamsa is out of a HENNESSY mare, Powhatan County is out of a STORMIN FEVER mare and Fusaichi Red has a dam by D’WILDCAT. Gr.2 winner Premier Pegasus is from a mare by SUMMER SQUALL. 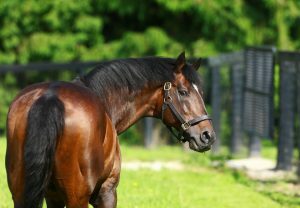 Fusaichi Pegasus has a SW out of a mare by NUREYEV, who also sired the second dams of two of his Gr.3 winners. Fusaichi Pegasus sired the talented Ex Caelis from a NIJINSKY mare. 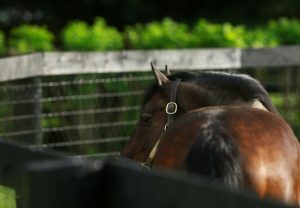 The sires of the first two dams of Fusaichi Pegasus’ black-type winners include NIJINSKY, SKY CLASSIC, GENEROUS, SEATTLE DANCER, SHADEED, BALDSKI and STRAWBERRY ROAD. His talented performers out of SEATTLE SLEW line mares include Gr.3 winner Ravel. 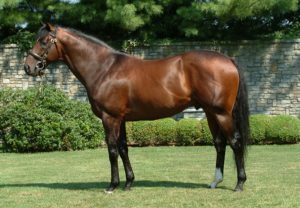 Bandini’s second dam is by SEATTLE SLEW. His Graded-placed daughter Fusaichiswonderful is inbred 2x3 to MR PROSPECTOR, while Roman Ruler and the Graded-placed colts Budge Man, Flying Private, Web Gem and Powhatan County are inbred 2x4. Witten is out of a RED RANSOM mare. 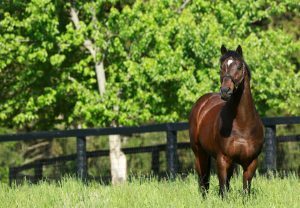 DYNAFORMER is broodmare sire of one of his Stakes winners and he also sired the second dam of his Gr.1-placed Riveting Reason. Gr.2 winner International Star is inbred 4x4 to HALO. His Gr.2 winner My Jen has a dam by HOLY BULL.